Check source files if the source files complete, if any missing fonts or images. Check if clients' instructions unclear. And try to get the needed files or fonts at the first time. 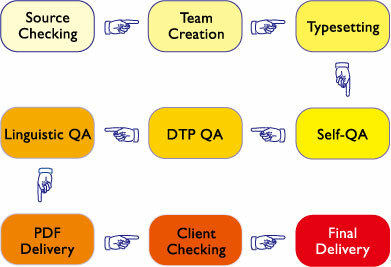 Organize a DTP team for the specific project by DTP leader, and send the clear instructions to DTPers. The DTP specialists proceed with the typesetting according to Golden View standard procedure and client instructions. After the initial DTP, The DTP specialists do self-QA against Golden View QA guideline. The DTP team leader is responsible for their team's quality, including through checking of the DTPed files, pick up the issues, and instruct the DTPers to fix at the earliest time. Send the printed PDF to linguists for checking and make revisions accordingly. 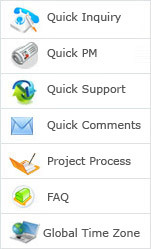 The client or end client check the layout and send comments back. DTPer make revisions until the client is satisfied. Zip the all DTPed files including fonts, images, etc., and upload as requested.